Healthcare plans that are international can’t be accepted as a national insurance policy. Also, in terms of residence or work permits, concerning health insurance Germany, insurance coverage is necessary. 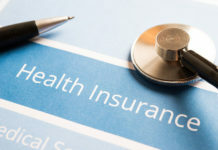 Read all about German health insurance for foreigners in this article. You will need German health insurance for employment purposes, and you will be asked for medical insurance information before you start work. The relevant costs should also be shared between employer and employee, while your employer should automatically deduct the required amount from your salary and pass that amount on. When going to Germany you will require a visa or residence permit if you intend to stay in the country. Evidence of healthcare coverage will be expected too. An exception to being covered by health insurance in Germany could be having special status, such as being transferred to Germany for a short period of time. Though international insurance for foreign residents can, in some instances, be accepted it may not be. Regarding the German healthcare system, private and public providers co-exist. The options available are also reliant on different criteria, with a lot of companies to select from. In either case, private or public, employers and employees share the costs – though it’s not always exactly the same amount. It should be noted that not all relevant expenses are covered by health insurance. Elderly nursing care, for instance, isn’t included. This is because nursing care contributions, and those towards Germany’s social security system, are taken from a salary separately. Work-related accidents and disabilities are not covered by medical insurance. The former is the responsibility of your employer, while you are expected to be responsible for the latter. If you’re self-employed you are expected to deal with insurance matters, including paying expenses. There’s up to 170 companies offering German health insurance for foreigners. Differences between prices/services concerning public and private options can also be considerable. Public health premiums are set at a certain percentage re your income, and result in much competition from healthcare providers regarding the services they provide – though, legally, basic coverage has to be available. Optional services can be added, though this can make comparisons complicated. Examples include insurers offering travel insurance outside of the European Union and alternative medicine treatment being reimbursed. Some providers may also offer benefits and reimbursements when you’ve taken part in preventative programs and had checkups regularly. Some questions that should be considered are: Who’s covered? What’s covered? What will be the cost? The answers prove that the differences between public and private health insurance can be considerable. It is important to compare German health insurance for foreigners properly to make the best decision. Sometimes, the maximum premium for public healthcare insurance is more than the fees of private providers. This can appeal to healthy people with no children, and people who won’t be staying in Germany indefinitely. The advantage of public health insurance is that other family members are covered. Concerning this type of health insuance germany, additional fees aren’t required to cover your non-working spouse or children.